If you read last week’s blog you know how I loved my friends’ book, Grace for the Misfits. I even promised a free copy to one lucky winner. And the winner is Debbie Schulz! Congratulations, Debbie! Your book will soon be in the mail. Speaking of books I thought I’d tell you about a few I’ve been enjoying this year. I like a variety of genres so hopefully you can find something here that’ll spark your interest. 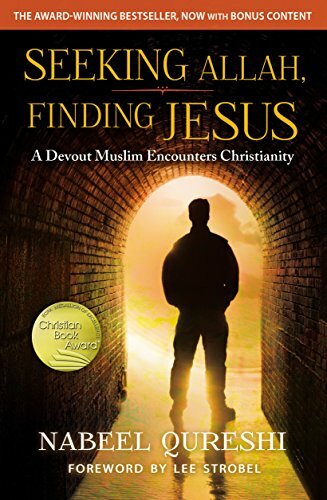 Seeking Allah, Finding Jesus by Nabeel Qureshi- Nabeel grew up in a Muslim home and is a self-proclaimed momma’s boy. In college he met his new best friend, David, who introduced him to Christianity. Nabeel believes Christianity is off-base because of what he’d been taught growing up but David encourages him to seek the truth about God. Even though the reader knows from the start that Nabeel eventually comes to know Christ, this book is still an interesting read. Nabeel shares what it’s like to grow up in a Muslim home in the United States, and how difficult it was for him to leave his family’s religion even though, after careful research and consideration, he knows that Christianity is the true path to God. This book is filled with Christian apologetics which can tend to bog down a person down at some points but still, it’s a very good read. 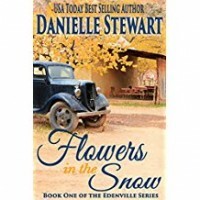 Flowers in the Snow by Danielle Stewart – Betty grew up in the South in the early 1960’s and one day, after many years of keeping her secrets, she decided to share her story with her now-grown family. Her father was a member of the Klu Klux Klan, which she didn’t really know or understand. On the day she’d helped a black man she was confused about why her father was so upset. Isn’t that what she’d been taught to do in Sunday School? What I love about this story is it provides a glimpse into the sad state of affairs in our country during the 60’s while also providing the reader with a sweet story of friendship and devotion. It’s been one of my favorite books so far this year. I should warn you though, it’s book one of a series you could very likely get sucked into. 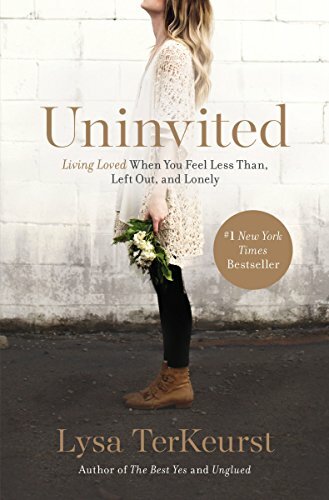 Uninvited by Lysa TerKeurst – Have you ever felt rejected and unloved. 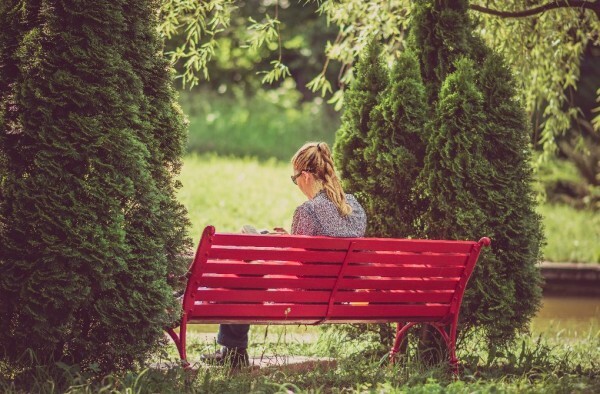 In her book Uninvited Lysa shares, with lots of humor and some amazingly personal stories, how she overcame her feelings and fear of rejection by learning how to live loved through Christ. I learned so much from this book and will, in an unlikely change of character, definitely read it again. I highly recommend it to every woman who has ever felt lonely, left out, or as though she’s not enough. 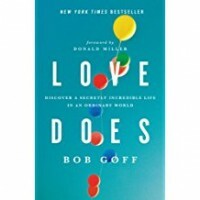 Love Does by Bob Goff – I had Bob Goff’s book, Love Does, on my “books to read” list for a long time before he came to speak at our church. As soon as I heard him speak I knew I needed to move the book to the top of my list. Bob (we’re really not on a first name basis but after reading his book I do kind of feel like we’re best friends and I’m just sure he’d want me to call him Bob.) is one of those guys who grabs life by the horns and makes the best of every situation he encounters. He loves with abandon in ways that seem extraordinary, like rescuing a child from Uganda who’d been left for dead after a brutal attack. Best of all, Bob loves to laugh. He’s one of those guys who always looks on the bright side and seeks to find the best in people. I truly would love to be friends with he and his wife, whom he refers to as “Sweet Maria.” I’ve always felt like I’m a pretty optimistic person but after reading Bob’s stories I feel a bit like Eyeore! Bob sees possible when the normal person sees impossible. He inspires me to live and love large! 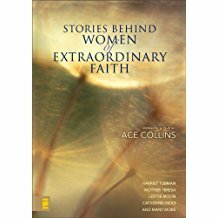 Stories Behind Women of Extraordinary Faith – The description of this book says it’s about 20 women whose faith has reshaped the world. So, it’s not surprising to find stories about Harriet Tubman who led escaped slaves to freedom, Mother Teresa who cared for the poorest of poor in India, or Catherine Booth, founder of the Salvation Army. But have you heard of Reba Smith? Her story impacted me the most, probably because she was a grandmother. And she happened to be the grandmother or the famed Reba McEntire, but that’s not who the story is about. The story is about how Reba Smith poured faith into the life of her granddaughter, Susie, who spent every day with her while her older siblings went to school. As I read the stories of the different women whose faith has affected history I was inspired to know that even I have the power to make a difference in the world just by sharing my faith with my grandchildren, my friends and my family. To quote from the book, “great women of faith don’t try to call attention to themselves. They usually just attempt to reach out and quietly touch one life at a time.” Profound! So many great books, so little time! What about you? I’d love to hear what you’ve been reading. Leave a comment! Welp – you just did it for me…..I must retire and dive into this wonderful world of literature! Everything you critiqued sounds like a “mus. Thanks for navigating through your list and highlighting. ???????? Thank you for the book I won! I’m excited to read it. Also appreciate the book suggestions. I have more time to read now. I love Christian fiction and have been reading series by Dee Henderson and Terri Blackstock. “Flowers in the Snow” looks like a good one!